“In the long term, we need more spectrum and network capacity. We are working on that. 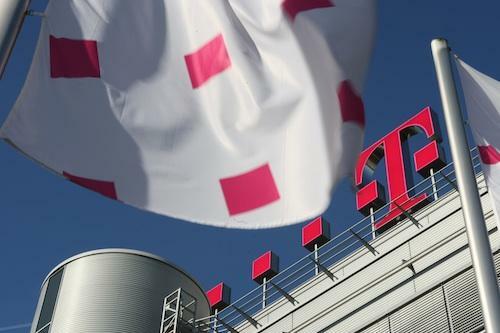 But we will not speculate about any inorganic steps or deals,” Deutsche Telekom Chief Executive Rene Obermann told reporters during a conference call. Deutsche Telekom went all in with AT&T and now that it is walking away with a $4 billion dollar break up fee, a lot of time has been lost and DT will either have to reinvest in the market or discover another way to exit the US market. In the meantime, Deutsche Telekom missed out on potential spectrum sales and partners as Verizon gobbled up compatible spectrum from Time Warner Cable, Comcast and Bright House Networks. As part of the breakup fee, Deutsche Telekom will receive mobile spectrum in 12 of the top 20 cities (Los Angeles, Dallas, Houston, Atlanta, Washington, Boston, San Francisco, Phoenix, San Diego, Denver, Baltimore and Seattle) adding up to 128 markets in total as well getting as a new seven-year roaming agreement with AT&T that will include access to 3G/4G WCDMA. This new roaming agreement will increase T-Mobile’s population coverage from 230 million potential customers to a new total of 280 million. As a result, T-Mobile’s coverage will be extended in a number of areas where it did not previously have its own high-speed network or access to any roaming agreements. That spectrum will help T-Mobile in the short-term, but Deutsche Telekom agrees it is putting a band-aid on a broken leg. “In the long term, we have disadvantages in scale and spectrum. In the coming months, we will think about how to have LTE (wireless network technology) offers despite scarce spectrum,” Obermann said. Deutsche Telekom’s own press statement released yesterday indicates the $3 billion cash portion of the breakup will go directly to reducing their net debt. U.S. telecommunications company AT&T Inc. and Deutsche Telekom have terminated the agreement on the sale of T-Mobile USA to AT&T. As a result, AT&T will pay Deutsche Telekom the break-up fee agreed in the contract signed by both companies dated March 20, 2011. This is one of the highest payments ever agreed between two companies for the termination of a purchase agreement. It includes a cash payment of USD 3 billion to Deutsche Telekom, which is expected to be made by the end of this year. In addition, it contains a large package of mobile communications spectrum and a long-term agreement on UMTS roaming within the U.S. for T-Mobile USA. Both companies are in agreement that the broad opposition by the U.S. Department of Justice (DoJ) and the U.S. telecommunications regulator (FCC) is making it increasingly unlikely that the transaction will close. Both companies are of the opinion that important arguments in support of the transaction have been ignored, such as the significant improvement in high-speed mobile network coverage for the U.S. market, as well as the positive employment effects. In addition there was no indication that either authority would move away from it’s non-supportive stance in return for concessions from the parties in terms of the scope and structure of the transaction. Even following the termination of the agreement with AT&T, Deutsche Telekom expects to remain within the communicated ranges for certain financial performance indicators used to assess the financial performance of the company. These are as follows: The ratio of net debt to adjusted EBITDA of the Group is to be between 2 and 2.5, the equity ratio is to be between 25 percent and 35 percent, gearing (ratio of net debt to shareholders’ equity) between 0.8 and 1.2, and liquidity reserves is to cover maturities of at least the next 24 months. Hello “DISH”, you might just be the “cup” of tea we need. Great , we will be called Duche Mobile , lol. Access to 3g included…..does this mean my iPhone will now get 3g? Yes, if you live in a market that a 3G roaming agreement is put into place, this could happen. Keep your fingers crossed , lol. I hope they reinvest or just sell to another telecom company. We don’t see a dime. I am aware of that. I am saying it that they do so regardless of what they do with the 3 billion. Either which way they, DT is at a loss so they must pick their poison. You just reminded me about MediaFlo. What trash that was. Actually, AT&T was buying MediaFLO to increase LTE speeds in markets where they don’t have enough 700MHz spectrum. Even the FCC knows they have little 700MHz in some areas, since Verizon bought it all out when they snatched up Block C.
Although, I would assume that LTE speeds will double/triple with that spectrum, since it was actually a TON of spectrum. So what does this mean for me and my handset exactly? Can I compare ATT’s and TMO’s EDGE maps and see exactly where I will gain coverage? And will anything need to be done to my phone? I’m confused about this seeing as how the two networks do not share the same 3G/4G. Is this related to that unlocked iphone on TMO 3G?? I can tell you that we have a 1900 3G/4G network working along side our 1700/2100 network in Birmingham. This is a test because we need the extra spectrum in some markets for capacity. Yes the iPhone works in Birmingham. We will be adding 1900 networks across the nation in the months to come. And some of our new phones will start to carry 1900 3G. ANYWHERE. Man and Woman up and make it work, T-Mobile! Wth ! Smh the u.s qovernment must nt know the condition we ” T-Mobile” are in. The owners wanna get out of the u.s market and have said he doesn’t wanna invest in this company any longer. This was a great deal for him and for us”T-Mobile” customers. We would’ve pickt up the iPhone. Another year of uncertainty. What’s next sprint and T-Mobile. ??? Is the full list of the “128 Cellular Market Areas” where Tmo is getting additional spectrum published anywhere? I would also like to know. I travel to many areas out in the country that don’t have T-Mobile service at all, but friends with AT&T have service. Would be great if I could roam on AT&T in those areas. I drove from Dallas to Jonesboro, AR this summer, and in areas that I didn’t have T-Mobile service, I was *already* roaming on AT&T, so I know there are roaming agreements in place in some areas. Three years ago when I went, NOBODY had service but Verizon, and that was only in town, AFAIK. Did you have your phone set up to auto select a network? This is great great day for just about everyone except for the head honco’s at at&t and DT. I have been a T-Mobile retailer since Omnipoint first started .Needless to say I have read just about every word written on this subject. I do realize that there is some uncertainty right now. I don’t understand the doom and gloom. DT is not going to close T-Mobile. It is a valuable asset that is profitable. First of all T-Mobile USA has some really smart and talented people. If DT allows them to they will turn this around faster than you might realize. HSPA+ has at least a 3 year window with T-Mobile. I know they are getting ready to launch HSPA+ 84 very soon. Right now LTE is not required to service the existing base of customers. With plenty of room to grow. What nobody seems to be talking about is the battery life on LTE phones. Recently while shopping my competition at Verizon. Two of the reps that have the LTE phones told me that they leave the 4g off. They stated with it on we are lucky to make it 2 hours without charging. I think 3 years is plenty of time to put TMO USA on track to LTE. On a personal note.This is a huge relief. Having being a Nextel dealer and watched what happened in that situation. I really don’t want to live through that again. First most of the employees were told to move on. Within months nobody that I had known was left. Then all the Nextel dealers were fazed out(Me included). My best case scenerio would to become an at&t dealer. I have friends that are dealers for them now.Talk out a step back. What T-Mobile is doing with the TPRI program is brilliant. It is seemless for customers . They don’t get different experiance when they go into one of these stores. The other carriers are missing the boat. We are held to much higher standards and it was a long time coming.The level are care given to us by T-Mobile amazes my friends that signed with at&t and Verizon etc. I’m told stories where they don’t have contact with dealers for months sometimes. We are treated truly as partners and have just about daily contact. They are constantly showing us metrics to help us improve our business and customer experience in our stores. Sorry to sound so optimistic I do understand how that bothers some of the readers. I have been around a long time and understand a good thing. Not just for me, But for TMO employees and most of all the customers. It is funny through all of this that no one had anything good to say about at&t. At least we can all agree on something. Did you happen to read the part about DT using the cash to pay down their debt! Read between the lines folks we are getting nothing. My service in Vegas is terrible with constant delays in text and mostly edge data service. Now it could be the incredibly crappy phone selection or it could be the service, you decide. They need to put that cash into the markets here in the US but that’s not gonna happen. All we do is pay the bills for the rest of the world, as usual. I am glad you get to keep your job, at least for now. As DT will continue to cut its expenses to reduce its debt, they will see more and more customers leaving which will again cause more cuts. I don’t know what part of Las Vegas you live in but I never have texting issues… and for the most part I have 4g data… I hardly ever drop to edge unless I am by the schools off Russell Road… or by black mountain. If you experience edge data constantly you might be having phone issues. I have a Tmobile G2 and for the most part I am happy with the data coverage. phone sale for upgrades and new customers,not Tm. Any reason why? So here in Philly AT&T has service in our subways. Does this mean I’ll be able to get that service now on my HD7? This was a scheme by Deutsche Telekom investors to recoup some of its $30 to $50 billion investment (depends on whose numbers you accept). AT&T willing to pay $39 billion (to take out a competitor) was DT’s Christmas miracle. DT has a real problem now. TMOUS employee morale is low, resulting in employees simply not giving a sheet, its losing market share, and I suspect vendors and manufacturers are leery of entering into equipment deals with the Company facing uncertainty and instability. Where to look? I suspect any foreign buyer is out. (everyone in the U.S., including Washington, is anti-foreigner, at least in a sale like this). So look toward U.S.-owned suitors, with DT giving up majority control or Deutsche Telekom selling TMOUS outright to a U.S. buyer. Of course, there’s always “parting out” TMOUS, perhaps selling or leasing out T-Mobile’s towers. If TMOUS continues to decline in value (subscribers) IMO look for DT to jettison TMOUS. Regardless of what happens its all good theater, eh. Where are you getting that information from? Do you work for T-Mobile? Are you the elected representative of T-Mobile employees?I know a number of employees at T-Mobile, in Customer Care, Retail and Operations, and they do not have low morale. I’m quite sure SOME employees do, and I’m quite some of them even have good reasons for it that may be work related. But it’s not a universal thing and you should not present it as such. 3G is pretty good. They should use at least some of that money to expand their network everywhere and get better phones. Trying to convince apple to use the AWS band and get the iphone. Try to convince google to launch the galaxy nexus on their network like they have with previous nexus devices. They are the bargain network and the only ones to offer free wifi calling which is awesome. don’t want these guys getting their hands on it. What does this mean for people with 1900 band phones, like the SII? Will I be able to access 3G/4G when their is T-Mobile edge only? That would be awesome. AFAIK, you’ll be stuck with EDGE. Devices are still going to connect to their “home” network before switching to roaming. But since t-mobile doesn’t disable manual network selection, there is no reason why you can’t scan and use the roaming tower manually. I do it a lot in poor tmobile areas. No Rudy you are incorrect. The sIM card knows when you are in a home area and will not let you forcefully roam. The sim is locked to keep you on home network and prevent you from aimlessly roaming to your hearts desire. Not true. There are parts of the network that allow in market roaming. I happen to live near one. I have no problem doing a manual network selection and roaming onto at&t here in western illinois where i stay. I do it all the time. (They generally allow it in areas where they have poor but native service.) Granted its not the norm, it happens though. Rudy, I agree with you, and have done the same. At least on my phone (Samsung Galaxy, Android 2.2, not rooted), you can select whether you want to use automatic (settings/mobile network, network mode: gsm/wcdma(auto), gsm only, wcdma only) *as well as* searching for available networks. So if any other provider with a roaming agreement has 3G WCDMA service and you don’t want to use GSM, just flipping *DISABLE IT*. An end-user not knowing how to use his/her phone is not the same as the phone not having the feature. Does the SG2 have the ability to select GSM and/or CDMA networks like the Sensation does? Wasn’t sure why that option was on my new phone when I was dicking around with it…but now I see why! Seriously, how long now have TMOUS zealots been talking about getting the iPhone. Sheesh, it has gone to Verizon, Sprint and C Spire. Give it up already. What is the point of more spectrum, they don’t use what they have now. I work in the basement of a building which had zero GSM until they put in a signal repeater. Now ATT phones down here get full 3G where my TMO phone only gets 2G. Will I somehow start roaming on ATT 3G? They work on different frequencies, ATT use 1900, T-Mobile use AWS, unless, you’re on a phone that is able to use the 1900 PCS frequency. According to my phone’s specs it does have the 1900 frequency. Hmm, in 1984 they broke up the Bell system. One of the main reasons were they did everything. Sold you service, sold you phones did it all. Me thinks that no one will be able to do that again. Going to be hard for Google to own phone manufacture’s and TMobile. Agreed. Google has shown no interest in acquiring T-Mobile before, during or now after the AT&T bid. That would be such an anti-trust law suit, it’d be worse then AT&T trying to buy T-Mobile. Facebook will buy TMO! I hav a frnd who’s brother works for Facebook and they are going to announce next week! Tim (Brazil) should buy out Tmobile . I heard they are awesome. Washington is anti-furriner right now. No way they are going to sell TMOUS to the Chinese. I doubt the govt will allow The China to buy US company. Unless they do something with their puppet state in N.Korea. Because the U.S. government regulates the airwaves the cell companies want to use in the U.S.
Therefor the government makes the final decision and will not let a foreign country that’s not out ally be part of it. Whiskers and Bklynman I understand that the Government wouldn’t allow China because supposedly China isn’t an “ally”. And I say supposedly because they are currently our biggest trading partner, and we owe them so much money if they wanted to crash our economy it will all be over for us. It is true they might ship weapons to N. Korea if a war broke out, but remember that if a war broke out they are also the only people who can stop N.Korea from launching Nuclear missiles. I think the only argument that might truly support the governments position is that we are already too dependent on the Chinese economy so we don’t want to dig ourselves any further in, but to claim that they are our enemies is coloring the truth a bit. who do you think N.korea will get support from? Gee,China just shipped 500,000 Ak-47 to N.Korea,etc Get the picture now? All this means to me is, when 3 of my 4 lines contracts expire in April, there’s no way in Hell I am going to renew. I know most tmo fanboys were cheering when this deal fell through, but there’s no long term good that can come of this for tmobile customers. AT&T might not have been ideal, but I suspect this alternative is going to be much much worse. refrain from talking out of your A**. T-Mobile is offering on a Pre-Paid plan in comparison to their post paid plans, you will get your answer. This company is headed for failure and no one can stop it. I have been a customer for ten years, so newbies refrain from talking out of your A**. — I don’t see TMOUS getting the iPhone. People should look up how much Sprint had to commit to, to get the iPhone. Deutsche Telekom is looking for an exit plan, primarily. I don’t see it agreeing to Apple’s terms to get the iPhone. — Like other things, I always say if DT would have allowed TMOUS to get the iPhone it would have done so by now. I simply don’t think the parent is going to authorize the big bucks it takes to get the iPhone. — A long shot might be if TMOUS establishes itself as the preeminent prepaid carrier, Apple comes out with a prepaid phone, and it does a deal with DT to get the iPhone to TMOUS. But given TMOUS precarious position I don’t see that deal ever happening, at least not now. — TMOUS has value, stripped mined or sold whole. So I don’t ever see it failing. — To the extend you are deriding prepaid, I disagree there. I still say that TMOUS going totally prepaid is its best move. Think about it. If TMOUS went prepaid it would be at the tops of the list. Since prepaid is where things are going Deutsche Telekom needs to take the lead on that (and not get into the game too late like it did with data.) Look at Sprint, it knows about prepaid, it is doing all kinds of prepaid deals. Explain why did C-Spire get a iPhone? Aren’t they in the same category as T-Mobile in some since? I really don’t think you’ve done your research…. T-Mobile USA is owned by DT which if did research on DT you’ll see that it’s one of the most profitable telecommunications company in the WORLD, with that said do you really believe it’s going to let T-Mobile USA go out of business? You’re an uneducated TWIT!!!! When does the AT&T – T-Mobile roaming agreement go into effect? I could use a signal boost asap!! without plan b, tmo’s fake “4g” won’t last long. they are slowly dying at the rate of VZ and ATT implementing their LTE bands.